Wow! 2 blog posts in 1 month. 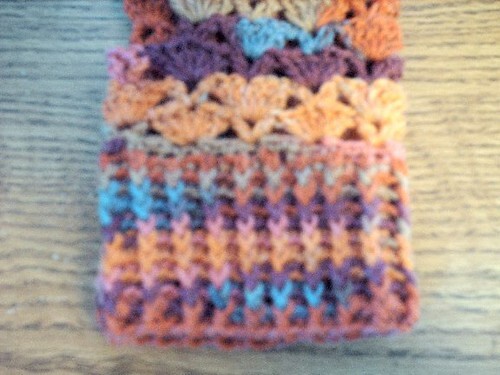 ....and another FO to show! These didn't take long at all. I could've actually had them done in an evening if I hadn't started on them so late. 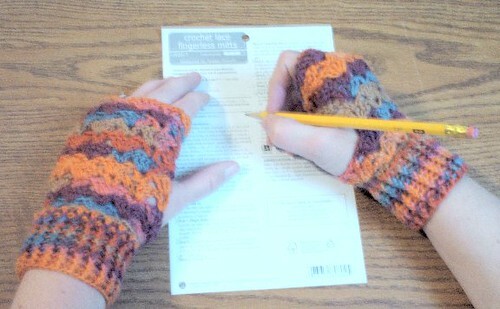 This was a very easy pattern and I may end up making more of these to give as gifts for Christmas. Wow! It's been quite a while since i've last blogged. Time seems to be getting away from me. I've had a lot of different things going on and unfortunately, not much crafting has been getting done :( Since warmer weather looks like it's finally here to stay, I've got tons of spring/summer crochet that I'd love to get started on. 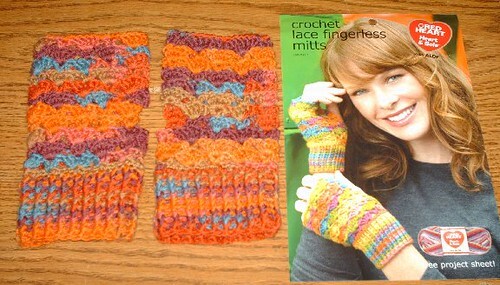 I've seen a lot of awesome patterns lately showing in my crochet and knitting magazines. So I'm anxious to get started on some of them. 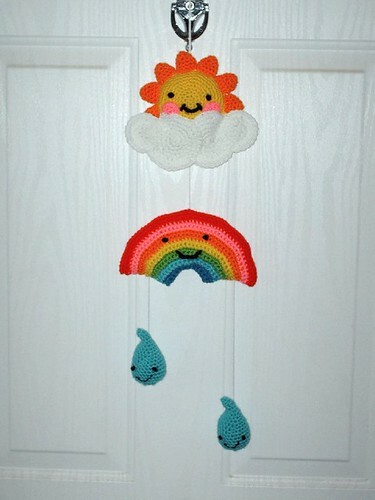 Below is the finished Happy Day Mobile from the current issue of Crochet Today. Although this may not have been my favorite issue, there are still some really cute patterns in there. This Mobile is for my Sister-In-Laws daughter. I'm quite excited about giving it to her. I think it is so cute and sweet! And even tho it's for a baby's room, I think it would look great anywhere! So for now, I'll leave with a quick pic. Happy Spring and Happy Crocheting everyone!